When West Chester drivers want to experience a beautiful vehicle and an immense amount of versatility, it’s important to choose the Jaguar F-PACE. This attractive new vehicle delivers an incredible amount of power packed into an incredibly elegant model. Take in more about this model below. For more information please look at our Auto iPacket... it really has so much information on the exact equipment on the one you're looking at. Call or email us for any further questions about an unit.. Just give us the stock number when you call  610.436.0600.Silver Metallic 2018 Jaguar F-PACE 20d PremiumBluetooth / Handsfree Calling.AWD 8-Speed Automatic 2.0L I4 TurbochargedFor more information please look at our Auto iPacket... it really has so much information or exactly the equipment on every car. Call or email us for any further questions about an unit.. Just give us the stock number when you call. 610.436.0600. For more information please look at our Auto iPacket... it really has so much information on the exact equipment on the one you're looking at. Call or email us for any further questions about an unit.. Just give us the stock number when you call  610.436.0600.Gray Metallic 2018 Jaguar F-PACE 25t PrestigeBluetooth / Handsfree Calling.AWD 8-Speed Automatic 2.0L I4 TurbochargedFor more information please look at our Auto iPacket... it really has so much information or exactly the equipment on every car. Call or email us for any further questions about an unit.. Just give us the stock number when you call. 610.436.0600. For more information please look at our Auto iPacket... it really has so much information on the exact equipment on the one you're looking at. Call or email us for any further questions about an unit.. Just give us the stock number when you call  610.436.0600.Red Metallic 2018 Jaguar F-PACE 30t PrestigeBluetooth / Handsfree Calling.AWD 8-Speed Automatic 2.0L I4 TurbochargedFor more information please look at our Auto iPacket... it really has so much information or exactly the equipment on every car. Call or email us for any further questions about an unit.. Just give us the stock number when you call. 610.436.0600. For more information please look at our Auto iPacket... it really has so much information on the exact equipment on the one you're looking at. Call or email us for any further questions about an unit.. Just give us the stock number when you call  610.436.0600.Gray Metallic 2018 Jaguar F-PACE 30t PrestigeBluetooth / Handsfree Calling.AWD 8-Speed Automatic 2.0L I4 TurbochargedFor more information please look at our Auto iPacket... it really has so much information or exactly the equipment on every car. Call or email us for any further questions about an unit.. Just give us the stock number when you call. 610.436.0600. For more information please look at our Auto iPacket... it really has so much information on the exact equipment on the one you're looking at. Call or email us for any further questions about an unit.. Just give us the stock number when you call  610.436.0600.Gray Metallic 2019 Jaguar F-PACE 25t PremiumBluetooth / Handsfree Calling.AWD 8-Speed Automatic 2.0L I4 TurbochargedFor more information please look at our Auto iPacket... it really has so much information or exactly the equipment on every car. Call or email us for any further questions about an unit.. Just give us the stock number when you call. 610.436.0600. For more information please look at our Auto iPacket... it really has so much information on the exact equipment on the one you're looking at. Call or email us for any further questions about an unit.. Just give us the stock number when you call  610.436.0600.Blue Metallic 2018 Jaguar F-PACE 30t PrestigeBluetooth / Handsfree Calling.AWD 8-Speed Automatic 2.0L I4 TurbochargedFor more information please look at our Auto iPacket... it really has so much information or exactly the equipment on every car. Call or email us for any further questions about an unit.. Just give us the stock number when you call. 610.436.0600. For more information please look at our Auto iPacket... it really has so much information on the exact equipment on the one you're looking at. Call or email us for any further questions about an unit.. Just give us the stock number when you call  610.436.0600.Fuji White 2019 Jaguar F-PACE 25t PremiumBluetooth / Handsfree Calling.AWD 8-Speed Automatic 2.0L I4 TurbochargedFor more information please look at our Auto iPacket... it really has so much information or exactly the equipment on every car. Call or email us for any further questions about an unit.. Just give us the stock number when you call. 610.436.0600. For more information please look at our Auto iPacket... it really has so much information on the exact equipment on the one you're looking at. Call or email us for any further questions about an unit.. Just give us the stock number when you call  610.436.0600.Blue Metallic 2019 Jaguar F-PACE 25t PremiumBluetooth / Handsfree Calling.AWD 8-Speed Automatic 2.0L I4 TurbochargedFor more information please look at our Auto iPacket... it really has so much information or exactly the equipment on every car. Call or email us for any further questions about an unit.. Just give us the stock number when you call. 610.436.0600. For more information please look at our Auto iPacket... it really has so much information on the exact equipment on the one you're looking at. Call or email us for any further questions about an unit.. Just give us the stock number when you call  610.436.0600.Santorini Black 2019 Jaguar F-PACE 25t PremiumBluetooth / Handsfree Calling.AWD 8-Speed Automatic 2.0L I4 TurbochargedFor more information please look at our Auto iPacket... it really has so much information or exactly the equipment on every car. Call or email us for any further questions about an unit.. Just give us the stock number when you call. 610.436.0600. For more information please look at our Auto iPacket... it really has so much information on the exact equipment on the one you're looking at. Call or email us for any further questions about an unit.. Just give us the stock number when you call  610.436.0600.Fuji White 2019 Jaguar F-PACE 25t PrestigeBluetooth / Handsfree Calling.AWD 8-Speed Automatic 2.0L I4 TurbochargedFor more information please look at our Auto iPacket... it really has so much information or exactly the equipment on every car. Call or email us for any further questions about an unit.. Just give us the stock number when you call. 610.436.0600. For more information please look at our Auto iPacket... it really has so much information on the exact equipment on the one you're looking at. Call or email us for any further questions about an unit.. Just give us the stock number when you call  610.436.0600.Gray Metallic 2019 Jaguar F-PACE 25t PrestigeBluetooth / Handsfree Calling.AWD 8-Speed Automatic 2.0L I4 TurbochargedFor more information please look at our Auto iPacket... it really has so much information or exactly the equipment on every car. Call or email us for any further questions about an unit.. Just give us the stock number when you call. 610.436.0600. For more information please look at our Auto iPacket... it really has so much information on the exact equipment on the one you're looking at. Call or email us for any further questions about an unit.. Just give us the stock number when you call  610.436.0600.Fuji White 2019 Jaguar F-PACE 25t R-SportBluetooth / Handsfree Calling.AWD 8-Speed Automatic 2.0L I4 TurbochargedFor more information please look at our Auto iPacket... it really has so much information or exactly the equipment on every car. Call or email us for any further questions about an unit.. Just give us the stock number when you call. 610.436.0600. For more information please look at our Auto iPacket... it really has so much information on the exact equipment on the one you're looking at. Call or email us for any further questions about an unit.. Just give us the stock number when you call  610.436.0600.Grey 2019 Jaguar F-PACE SBluetooth / Handsfree Calling.AWD 8-Speed Automatic V6 SuperchargedFor more information please look at our Auto iPacket... it really has so much information or exactly the equipment on every car. Call or email us for any further questions about an unit.. Just give us the stock number when you call. 610.436.0600. For starters, West Chester drivers will certainly enjoy the power the new F-PACE brings. Besides that, drivers will appreciate the way this model delivers incredible confidence on the road. Finally, you’ll be wowed by the way this model highlights the road with its contoured body style, perplexing design features, and advanced technology. No matter where the road takes you, this new model will deliver an incredible feeling. 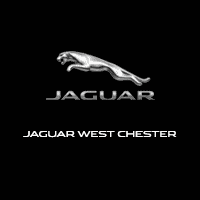 Learn more at Jaguar West Chester, and find out how the F-PACE and E-PACE compare.